Watch our 90-second highlights from the FA Cup win at West Brom. Watch the best of the action from Saints' latest FA Cup win. The pick of the action shots from a winning Saturday. Watch the boss's verdict on Saturday's fifth-round success. The boss praises his side for holding firm at The Hawthorns. Match-winner Dušan Tadić on the FA Cup win at West Brom. Goalscorer Dušan Tadić on Saints' fifth round win at West Brom. Read our report from another win at The Hawthorns. Alan Pardew calls for the “right response” from his team against Saints. Consult our Hawthorns away guide before you travel. The Saints boss looks ahead to West Brom. Watch the manager preview Saturday's game. Watch as Saints trained on Thursday. Shane Long could miss Saturday's FA Cup clash. Saints boss Mauricio Pellegrino looks ahead to Saturday's FA Cup tie. We get the lowdown on our FA Cup opponents from Birmingham Mail journalist Joseph Chapman. We take a look back at Saints' finest wins from the FA Cup last 16. Get the key facts and figures ahead of the FA Cup game. Almost 3,000 fans making the FA Cup trip. Secure a seat for the fifth-round visit to West Brom. Tickets for the trip to West Brom now on sale to all Season Ticket holders. "Southampton booked a place in the FA Cup quarter-finals, as they triumphed at The Hawthorns for the second time in two weeks. Following the 3-2 win in the Premier League a fortnight earlier, Mauricio Pellegrino's side withstood some late pressure once again to secure victory in this fifth-round tie and keep the dream of a major trophy alive." 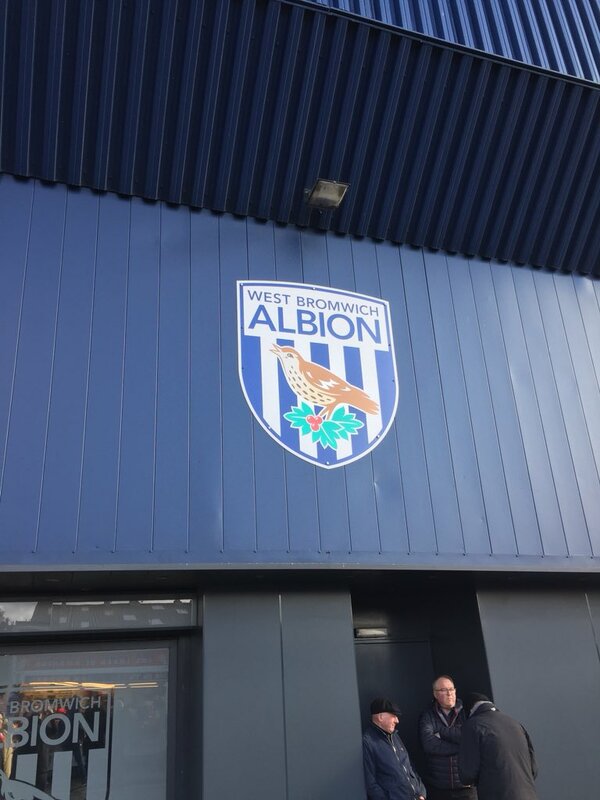 Read our full report from The Hawthorns here! While we wait to hear from Mauricio Pellegrino and his team, how about another look at that Dušan Tadić chip? Superb. Last 8 here we come! Wesley got us started, Dušan brilliantly rounded it off at The Hawthorns where Saints have won for the second time in two weeks. Saints have done it! Mauricio Pellegrino's side are into the FA Cup quarter-finals! YES! Josh Sims breaks away down the right and picks out James Ward-Prowse, but his shot is turned away. We're into the final stages now! Come on, Saints! The home crowd encourage Ahmed Hegazi to have a go from long range, but he sends his shot from 25 yards comfortably over. It's a final change of the day for Saints. 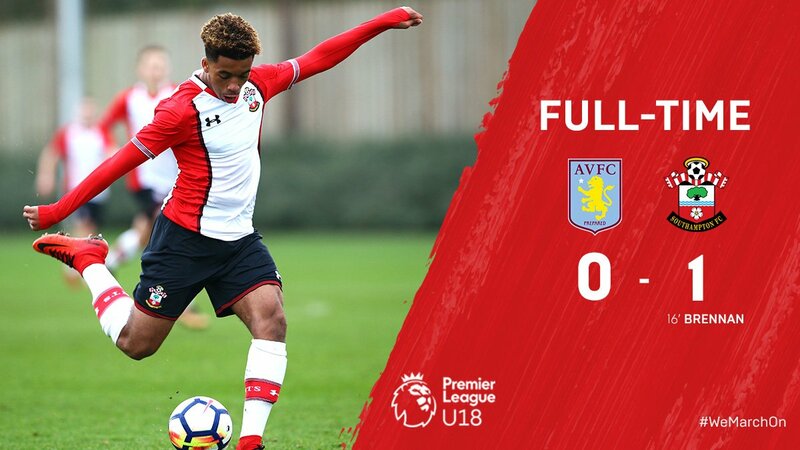 Saints survive a big scare! 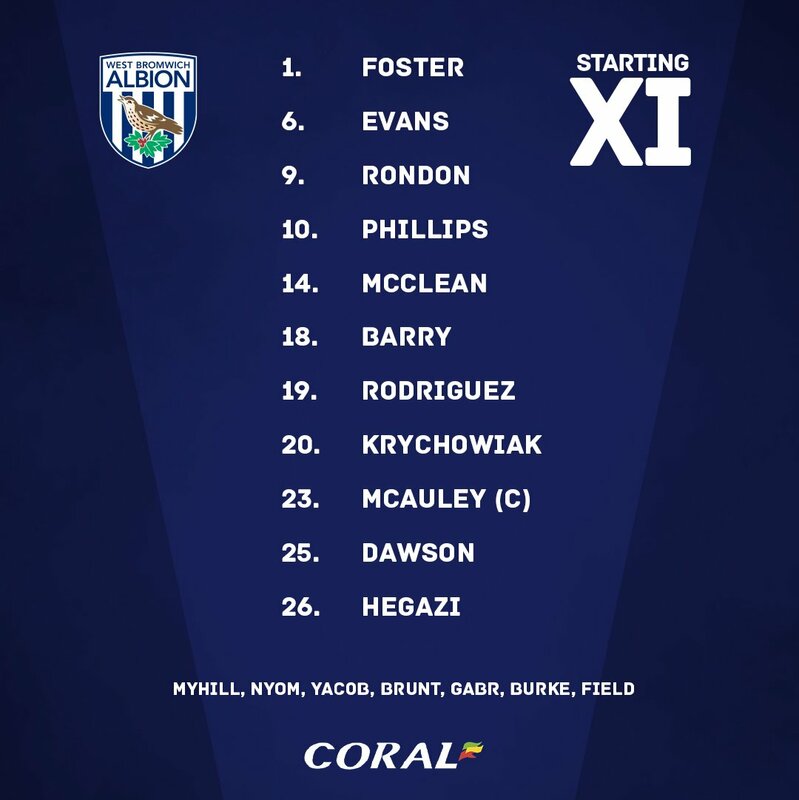 So close to an equaliser for Albion, as a bouncing Ahmed Hegazi shot comes back off the bar, before Salomon Rondon's header from the rebound is nodded off the line by Ryan Bertrand! It's a second change of the afternoon for the visitors. Mario Lemina is the latest man into the referee's book. Nice footwork from Matt Phillips just outside the area, but he curls his left-foot shot a few yards over the bar. It's a first change for Saints, as Gabbiadini is sent on in place of Redmond. The Saints keeper does well, as he watches a bouncing shot from James McClean safely into his arms. Dušan Tadić acknowledges the support of the Saints fans behind the goal after his second-half strike, which had put the visitors 2-0 to the good, before Albion quickly halved the deficit. Cédric gets clear down the left channel and looks to pick out Guido Carrillo in a brilliant central position. He doesn't get his cross right, though, and sends it far too high for the forward. A scramble near the goal-line from an Albion corner ends with McCarthy making a fine save to turn the ball away as it was nodded goalwards. It's an immediate response to the Tadić goal, as Salomon Rondon hits a brilliant volley from Grzegorz Krychowiak's cross-field ball to beat Alex McCarthy. Tadić gets in through the middle and shows wonderful composure, calmly lifting the ball over Ben Foster to put Saints 2-0 in front! GET IN! Another fine stop from McCarthy! Grzegorz Krychowiak lines up a low shot from 25 yards, which deflects off Wesley Hoedt on the edge of the box. 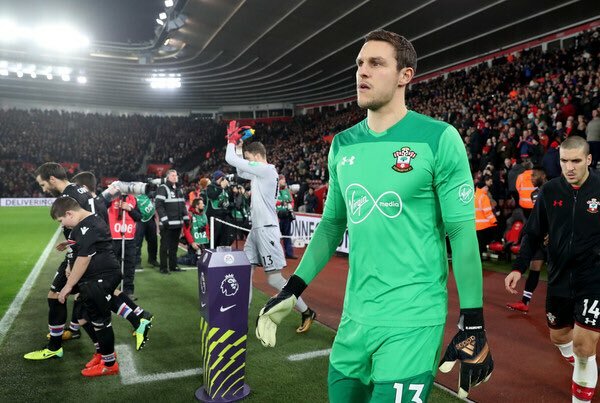 It wrong-foots Alex McCarthy, but the Saints keeper readjusts brilliantly, diving low to his left to tip the ball away. A slip from Wesley Hoedt allows Jay Rodriguez a great sight of goal, but Alex McCarthy dives to his left to get a slight touch on it. From the resulting corner, McCarthy is again called into action, tipping Craig Dawson's bouncing header over, before Saints clear the next delivery. West Brom win a free-kick in a deep position, but Alex McCarthy is out well to snare the angled delivery into the area and see off the danger. SECOND HALF IS UNDER WAY! View a selection of our images from a successful first half for Saints at The Hawthorns. The half ended with Guido Carrillo fouling Ahmed Hegazi, and after the half-time whistle was blown the Saints forward was shown a yellow card for the challenge. Wesley Hoedt's 11th-minute strike from a James Ward-Prowse corner is the difference as we reach the interval at The Hawthorns. We're almost at the break, with Saints still in front. James McClean is the second Albion player to be booked after fouling Guido Carrillo. 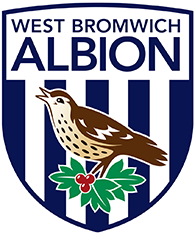 A loose ball falls into the path of Mario Lemina on the edge of the box, but, just as he lines up another spectacular piledriver at The Hawthorns, West Brom get a foot in to deny him. Nathan Redmond breaks away down the left and plays a neat ball inside to Dušan Tadić, but just as he is about to shoot from inside the area Jonny Evans slides in to divert the ball behind. The hosts are coming back into this a bit, and nearly sniff out a chance from a scramble in the area, only for Mario Lemina to deflect Matt Phillips's shot wide, before Craig Dawson heads over from Phillips's resulting corner. West Brom's Grzegorz Krychowiak catches Mario Lemina late and is the first man into the book. Wesley Hoedt celebrates his first Southampton goal with James Ward-Prowse, who provided the assist for him. Almost an equaliser for the visitors as James McClean strides forward and unleashes a sweet strike from 25 yards, but the ball fizzes just past Alex McCarthy's right-hand post. Another ball into the area causes issues for West Brom, with Guido Carrillo nearly getting on the end of it, before Pierre-Emile Højbjerg eventually does from a tight angle, but his low strike is cleared off the line. After Saints clear Matt Phillips's corner, Albion loft the ball back into the area, with Craig Dawson rising highest to meet it a few yards out, but he heads up and over the bar. Salomon Rondon gets a sight of goal with a free-kick from 25 yards, but it hits the Saints was and loops behind for a corner. Matt Phillips threatens to run onto a pass in behind, but Jack Stephens reads the danger superbly and gets back to sweep up calmly. HOEDT FIRES SAINTS IN FRONT! It's a first Saints goal for Wesley Hoedt, as he is left unmarked six yards out to fire home right-footed from James Ward-Prowse's corner! What a start! A sustained period of pressure ends with Cédric winning a corner, as Saints press for an opener. It's Mauricio Pellegrino's side who have seen the bulk of the ball in the opening minutes. There have been a few probing moves down the flanks, but as yet no significant chances. 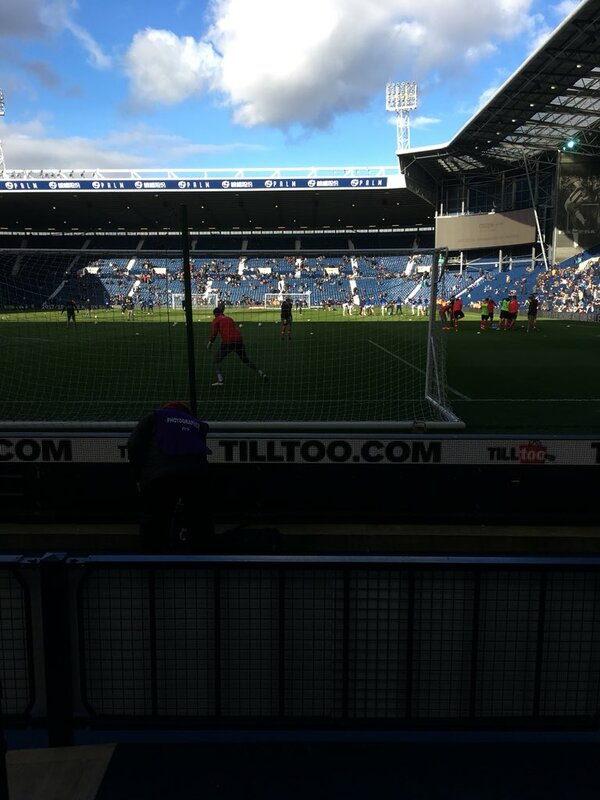 Showtime at The Hawthorns, come on Saints! There's a place in the FA Cup quarter-finals up for grabs at The Hawthorns. Saints were excellent in a 3-2 win here a fortnight ago, will they repeat the trick and keep the cup dream alive? We're about to find out. 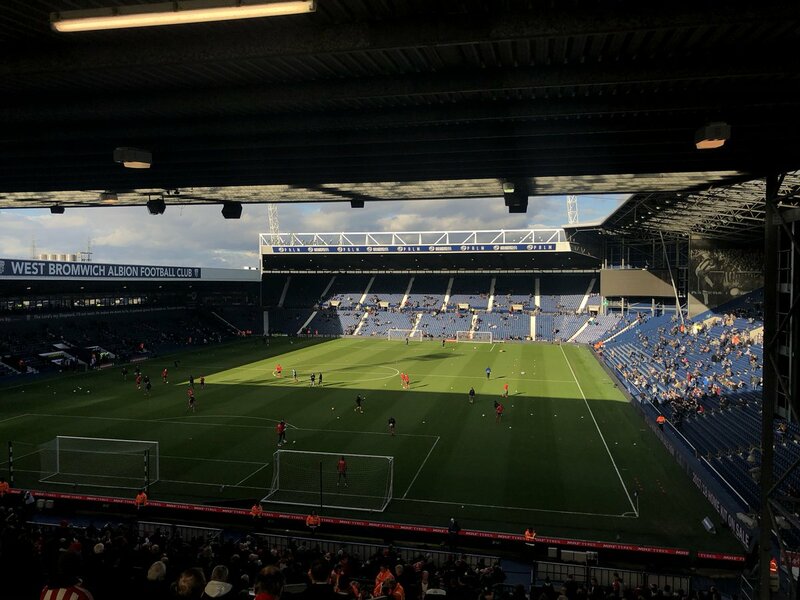 Just under 20 minutes to go to kick-off now at The Hawthorns and Saints are out going through their warm-ups on a bright and chilly day in the West Midlands. So, Nathan Redmond returns for Saints to make his first start since Boxing Day while Steven Davis, Sofiane Boufal and Maya Yoshida join Long and Austin on the sidelines after reporting late injuries yesterday. Saints XI to face WBA: McCarthy, Cédric, Stephens, Hoedt, Bertrand (c), Lemina, Højbjerg, Ward-Prowse, Tadić, Redmond, Carrillo. Mauricio Pellegrino's men checked in at The Hawthorns moments ago which means just one thing: we've got team news coming your way very shortly indeed at 2pm. Don't go anywhere! The Saints dressing room is ready and waiting for today's cup tie. We're back in red and white once more at The Hawthorns. HOPEFULLY WE CAN GIVE THE FANS A GOOD PERFORMANCE, WE CAN FEEL THEIR ENERGY, AND TOGETHER WE WILL BE STRONGER. 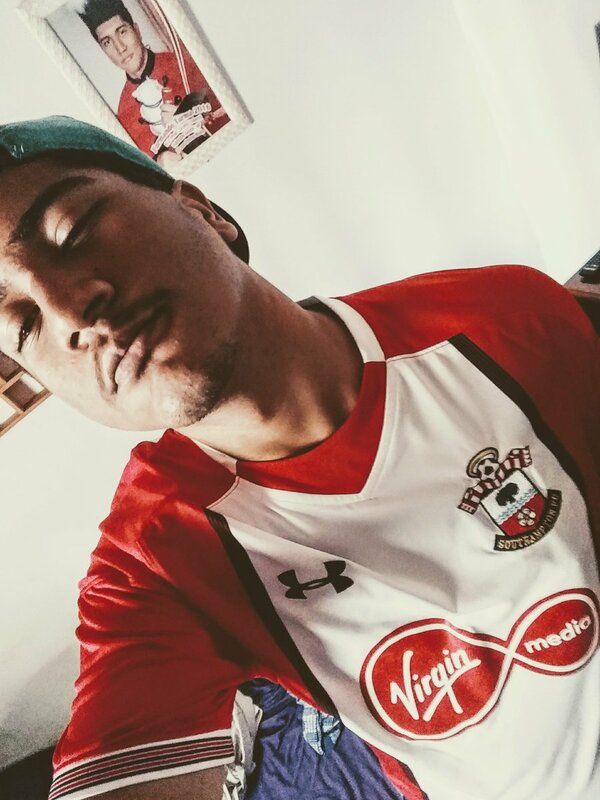 Going to my first #SaintsFC game of the season today! Let's hope a win in the cup today can help lift the team and help us in the league. Just two injury concerns for Mauricio Pellegrino going into this fifth-round tie, one old and one new. Shane Long is a serious doubt for Saints with a hamstring injury and is set to join long-term absentee Charlie Austin on the sidelines. Egyptian defender Ali Gabr could make his WBA debut after being granted a work permit while Daniel Sturridge will miss out after reporting a knock at Chelsea. 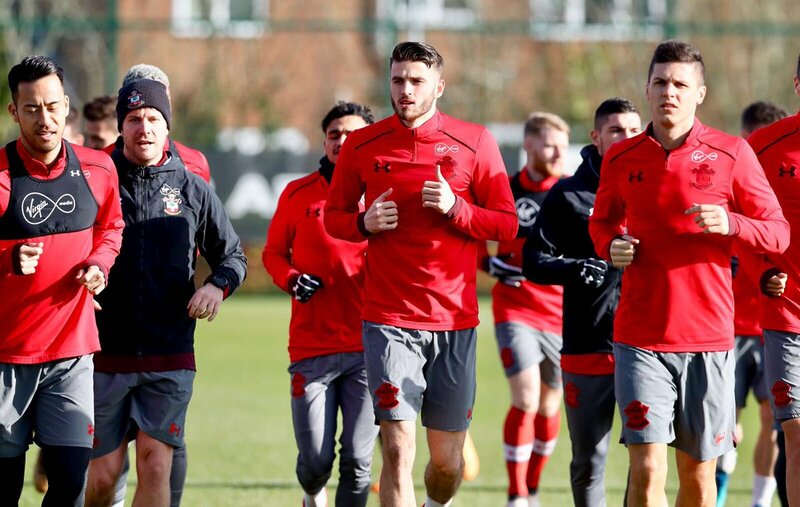 Watch as the Southampton squad trained earlier this week, ahead of today's game. It's matchday in the FA Cup! We're back at The Hawthorns today, as attention turns to the Emirates FA Cup! After a 3-2 win here in the Premier League two weeks ago, another victory today will send Saints into the quarter-finals of the cup!